You might say concrete is in our blood. Not literally, of course, but Tarlton has been providing high-quality concrete construction since our early days in 1946. This includes large civil and industrial projects, as well as structural concrete, deep foundations, grade beams, footings, walls, columns and flatwork for our clients and other contractors. We know the importance of accurate, reliable and dependable budgets and schedules. We pride ourselves on developing a project from conception through completion to meet the client’s requirements for time and budget. 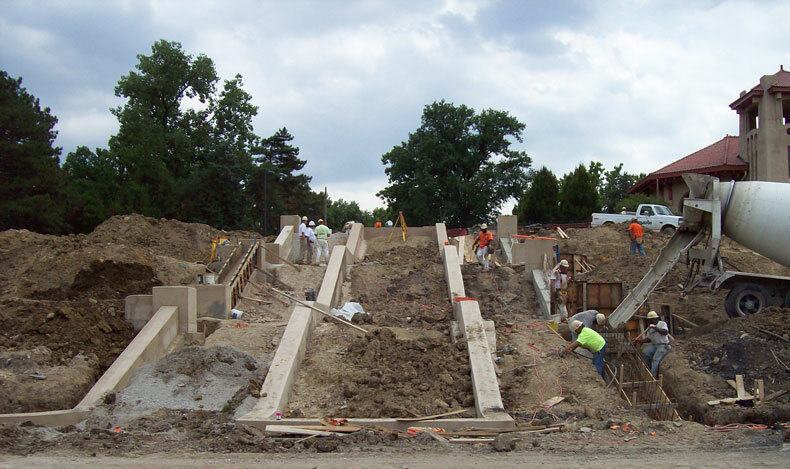 We want our partners to receive the best overall value from Tarlton Concrete on their project. We understand that the driving force on any job is our people. With this in mind, we assign an experienced team to every project we build to make sure it meets or exceeds our client’s goals. If you have questions or would like Tarlton Concrete to take a look at your next project, please contact us. In search of concrete excellence?